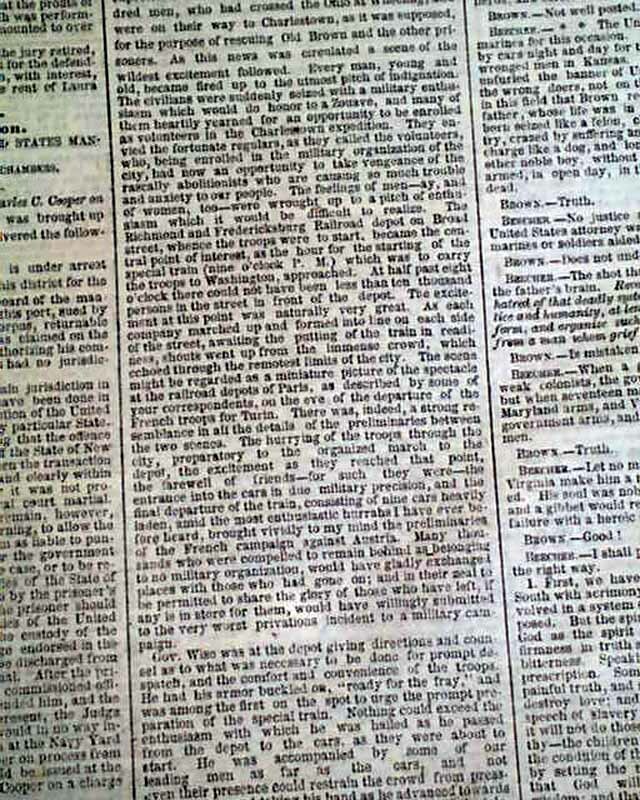 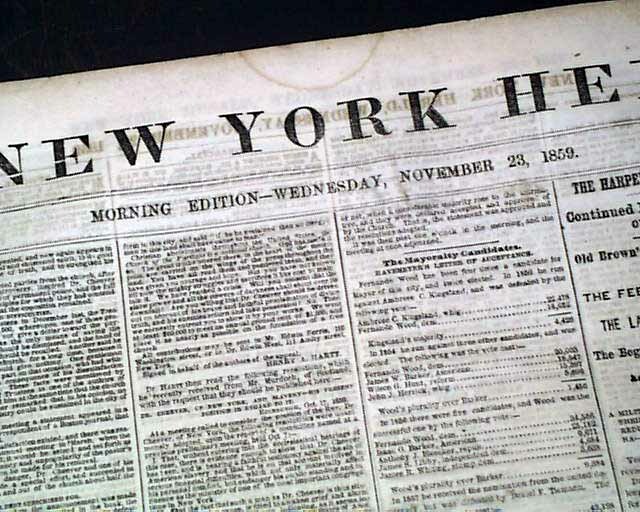 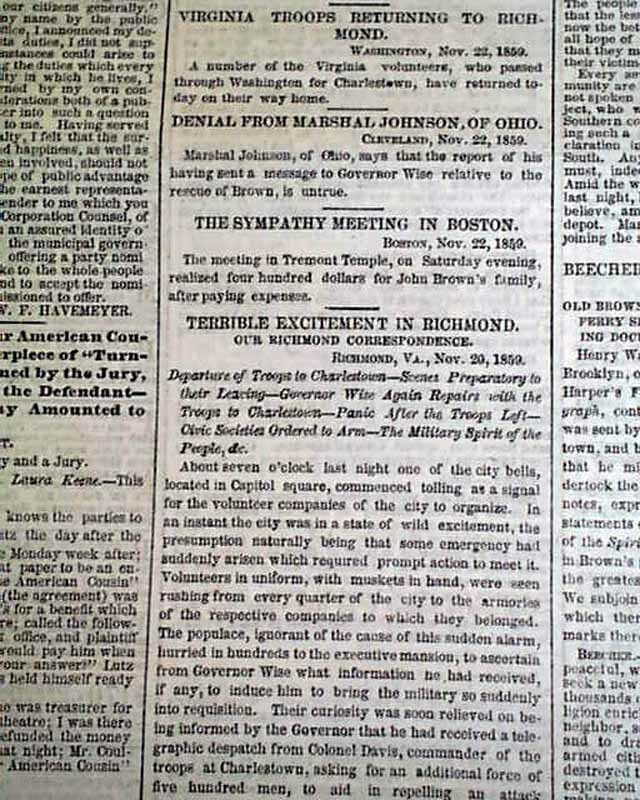 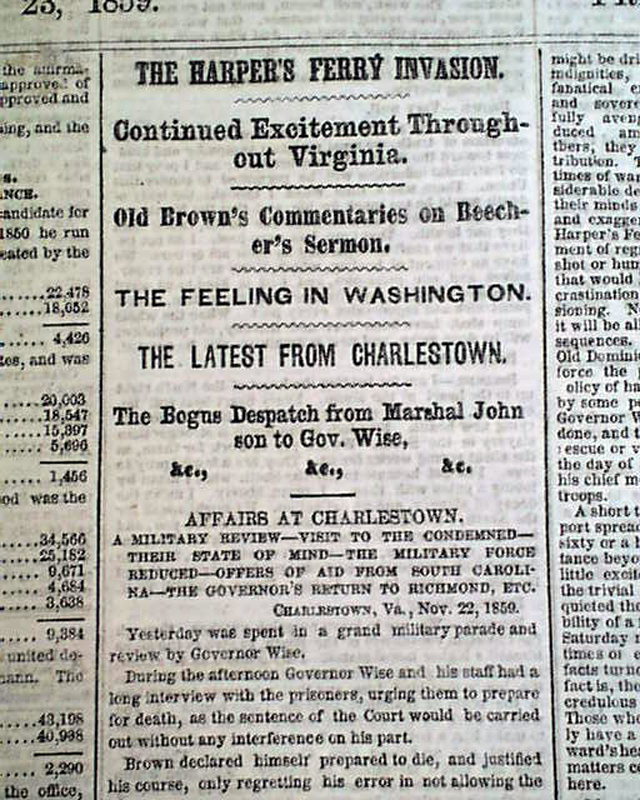 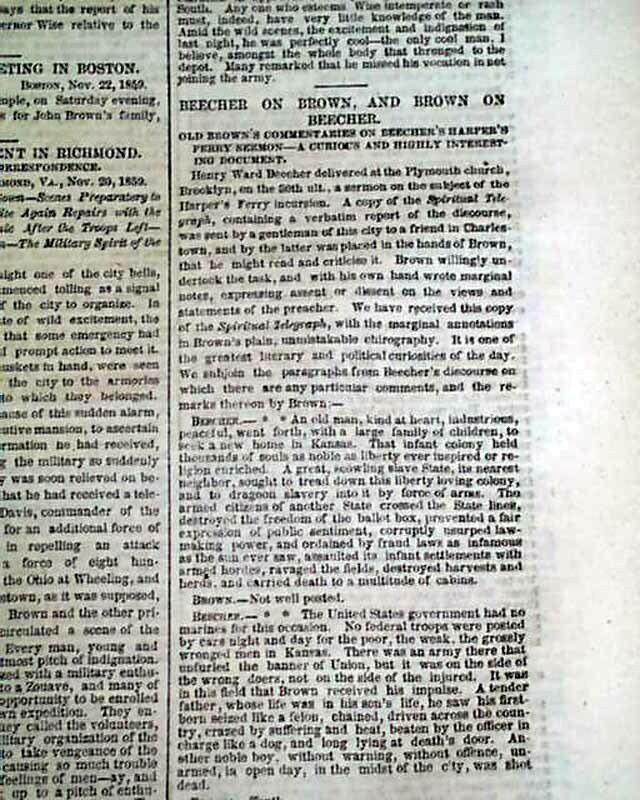 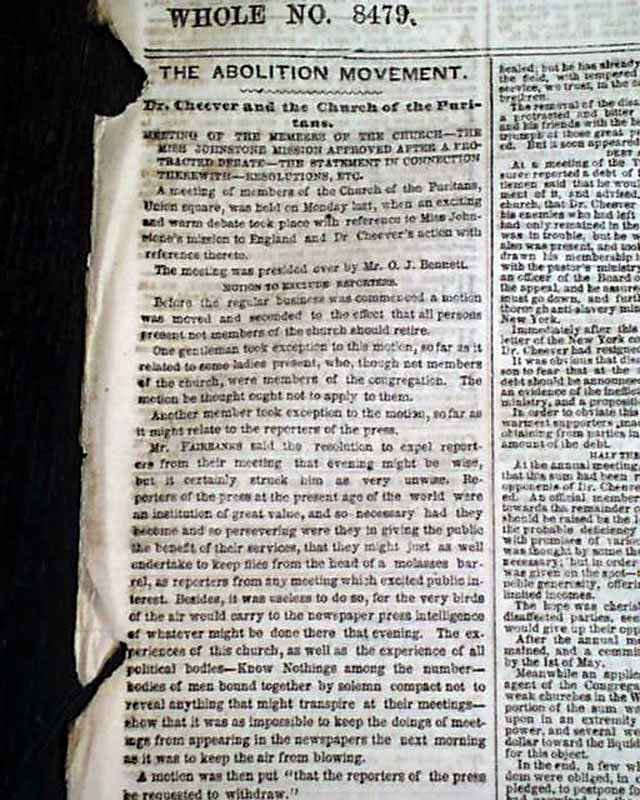 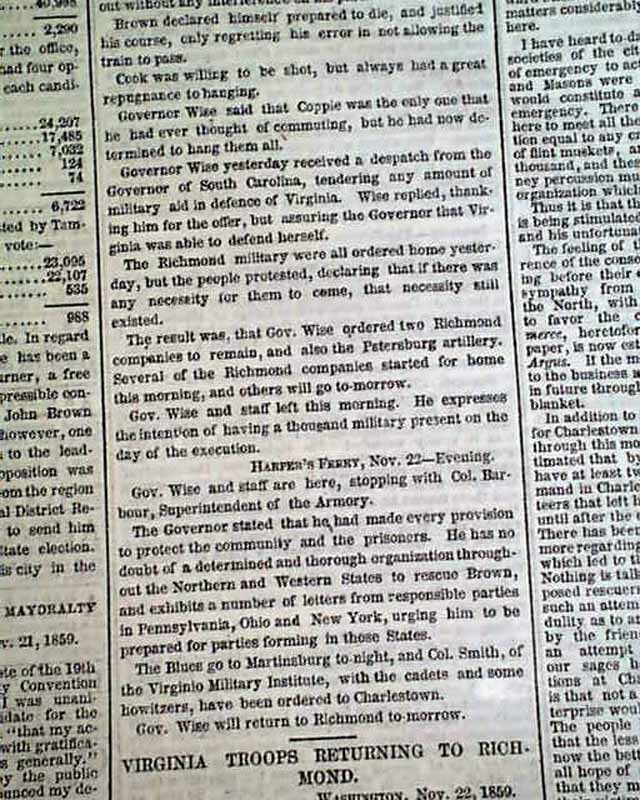 Front page column heads include: "The Harper's Ferry Invasion" "Continued Excitement Throughout Virginia" "Old Brown's Commentaries on Beecher's Sermon" "The Feeling In Washington" "The Latest from Charlestown" "and more. 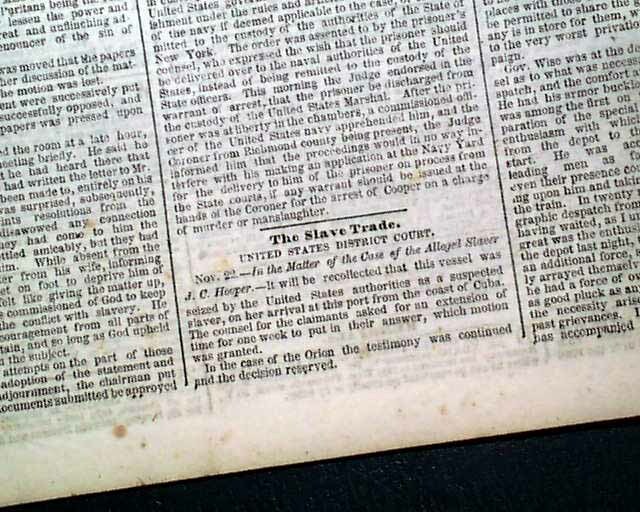 Also: "The Abolition Movement" & a brief bit: "The Slave Trade". 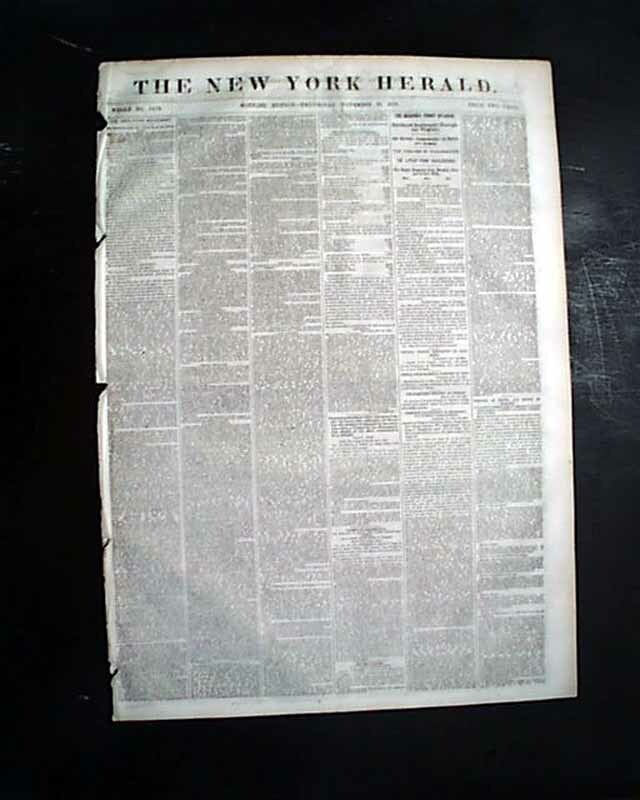 Eight pages, irregular at the spine from disbinding, nice condition.